Those adorable social media posts featuring Shiba Inus in raincoats are just too cute to handle for some. However, dressing up your Shiba Inu in raincoats and bandanas throughout the year is certainly for more than just fashion. Raincoats and bandanas can be highly functional, especially if the two of you are active. 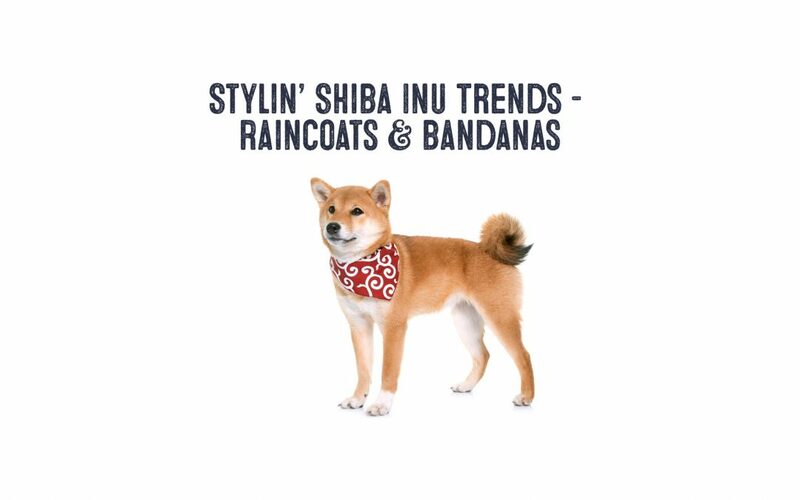 Whatever your reason, we have some buying tips to help you decide on a great bandana, raincoat, or both for your Shiba Inu. Why Use a Dog Raincoat For Your Shiba? Though the purpose of a raincoat is obvious, some people tend to believe that dogs and other animals don’t need protection from precipitation. Those people must have never encountered a Shiba Inu in a rainstorm before. * Keep your dog drier. Yeah, it’s a no-brainer, but there’s more to keeping your dog dry than you’d think. Small breeds and cat-like breeds like the Shiba Inu actually dislike getting wet. Because of this, Shibes might ever refrain from taking a bathroom break on a rainy day, which isn’t good for their health and increases the chances of an accident. Once your Shiba Inu is sporting a raincoat, everything changes. Since they won’t be feeling the raindrops on their coats, they’ll be more willing to go potty. The other plus is that keeping a dog’s coat dry will limit wet dog smell. *Keep you Shiba Inu warmer on colder days. Though Shiba Inu are essentially mountain dogs and can survive the winters of Hokkaido and Akita in Japan, they still need help sometimes—especially if they’re not used to freezing temperatures. Furthermore, if they’re running around in precipitation during the winter months, hypothermia can easily set in once they’re gotten wet enough. Prevent that from happening with a raincoat. *Keep your dog cleaner. Splashing about isn’t just about getting soaked. Dogs are bound to get covered in mud when they’re outside without their raincoats. Those with double-coats are going to eventually soak up that water like a sponge, and their going to want to shake off all that moisture once they get back inside. This means potentially spraying you and everything you own with muddy and stinky rainwater. You don’t really want that. Your Shibe doesn’t want that either. A raincoat will make you both happy. *Make your Shiba Inu more visible to motorists and bicyclists. 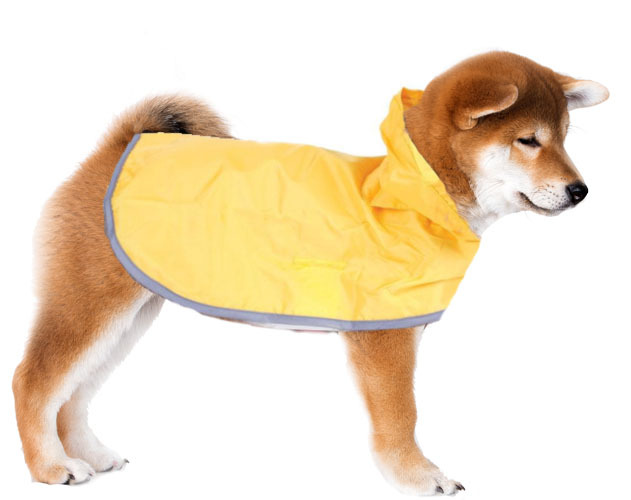 Since most raincoats are brightly colored, such as in the classic banana yellow, this helps your Shiba Inu stand out on days when there’s little sun. Raincoats are cute! What other reason do you need? Now that you know why it’s a smart move to buy a raincoat for your Shiba Inu, you need to know how to select the perfect one. Getting splashed in the face with water isn’t on anyone’s bucket list. Dogs are the same. While humans might put up a hood to help stop water, most pups don’t like hoods over their ears. With some training, however, you can teach your dog to tolerate having a hood over their head. A Shiba Inu might show some resistance, but once they understand how handy the hood is, they’ll definitely prefer it to going unprotected. Always make sure that the raincoat has open access to the collar so you can attach the leash to the D-ring. 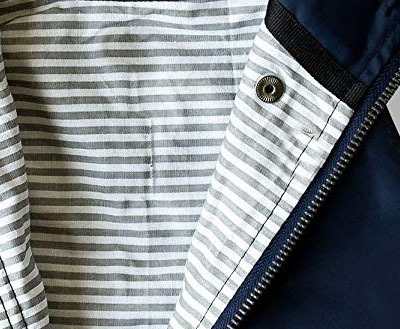 Some raincoats even have a built-in ring so you can run the collar through it and prevent tangles. Either way, leash access is a must! Measuring your Shiba Inu isn’t always enough to ensure a secure fit. Sizing variations in garments for pets occur just as they do in human jeans sizes. That’s why we recommend looking for dog raincoats with adjustable straps that allow for customized sizing and security. Straps or buckles will also keep the coat on the dog, especially if they are rambunctious or get the zoomies. As we mentioned earlier, the color of a raincoat can increase visibility on gray days. Color alone isn’t always enough, though. Choosing bright orange, neon green, and yellow raincoats will make sure that motorists, pedestrians, cyclists, and other dog owners can see you and your Shiba Inu on the road. 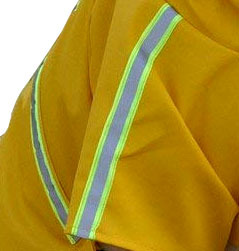 Reflective stitching or glow-in-the-dark strips are also a great to have. Some raincoats are going to come with additional liners made out of fleece, wool, or a synthetic blend that can increase the warmth exponentially. Depending on where you are located in the world, that extra warmth might be a good or bad thing. 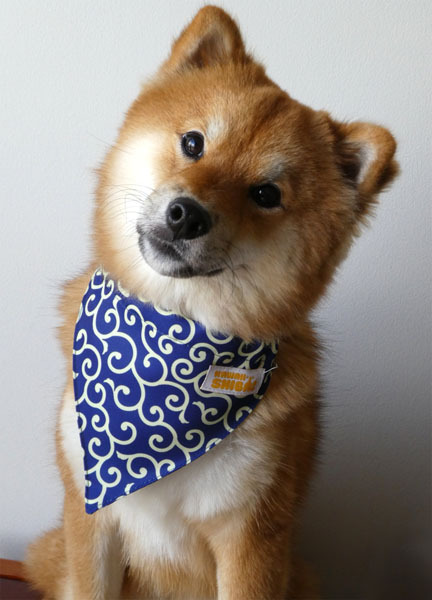 Finding the perfect bandana for your Shiba Inu is such fun! There are so many colors, designs, and styles to choose from. It's a good idea to keep in mind your dog's color and what bandana colors would compliment her coat. Other things you should consider are the size of the bandana, materials, and how it ties or attaches to your Shiba Inu’s neck. Some styles have to be hand tied while some have clips or buckles to secure them into place. Bandanas, depending on the type you buy, are usually made from soft, breathable material. Don’t buy cheap ones from the dollar store, because those may contain synthetic materials that could potentially chafe or cause a painful rash. There are many different styles of bandanas out there to buy. The most common bandana style is the triangle-shaped piece that look something like a scarf when tied around your Shiba Inu’s neck. Another design is the “cape,” which is when the triangular section doesn’t hang down in front or off to the side of the neck. Instead, most of the fabric rests on your dog’s back. A great feature to consider for cape bandanas is a velcro neck. These are also useful if you’re trying to keep your Shiba Inu from licking or biting at liquid flea and tick medication or a healing injury. Of course, it goes without saying that you can always tie a bandana into a bow-tie, use it as a bib for wiping off your Shiba Inu’s slobber or drying off their coat on a day with slight precipitation or a day at the beach, or for dressing your Shibe up for some pictures. However you decide to tie the bandana or make use of it throughout the day—that’s entirely up to you, so get creative! Fashion is important to Shiba Inu, especially when it’s functional. Buying a raincoat is an excellent idea if you have a catty Shibe who doesn’t like getting wet. 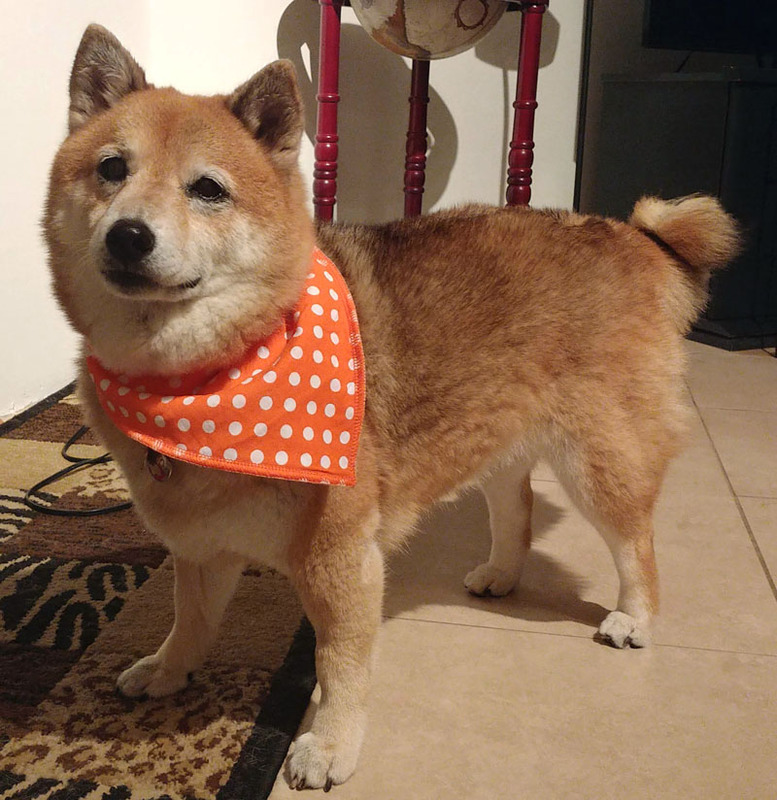 Bandanas give your Shiba Inu a "kawaii" makeover every time you change the pattern. The best part is both of these apparel types have a broad selection of colors, material types, and prices. You are sure to find raincoats and bandanas that not only match your tastes but are pleasing to your pupper as well. While there are tons of fashionable and functional dog raincoats and bandanas available today - a few of them stood out from the crowd. The Ethical Pet Slicker dog raincoat is a great all-around basic raincoat at an affordable price. For most Shiba Inus the large size would be a great fit. Smaller Shibas may fit better in a medium. 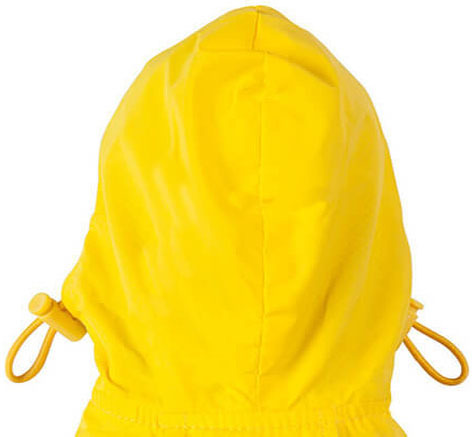 Click here to check price and availability of the Ethical Pet Rainy Days Dog Raincoat. This Ellie Dog Wear raincoat is one of the most stylish, versatile, and functional dog raincoats we tried. Made with high quality materials, the Ellie dog raincoat is double layered, waterproof, and has a removable hoodie. There's also pockets to store necessities like doggy bags and treats. We also appreciate the fact that this raincoat can easily accommodate a dog wearing a harness. 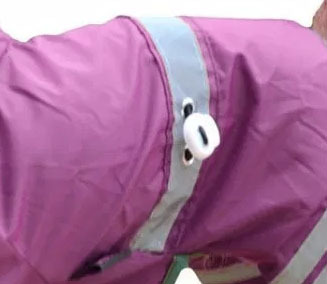 Because this dog raincoat is double layered and Shiba Inus are double coated, it's best to use this type of coat in colder areas or during colder seasons. For most Shiba Inus the large size would be a great fit. Larger Shibas may fit better in an extra-large. To find out the latest price and availability of the Ellie Dog Wear Navy Blue Raincoat, click here. Here's another lightweight and affordable raincoat that's great to keep your Shiba dry and clean - plus it folds easily into a packable bag. This type of raincoat is perfect for hotter / humid areas due to it's thin, lightweight waterproof fabric. 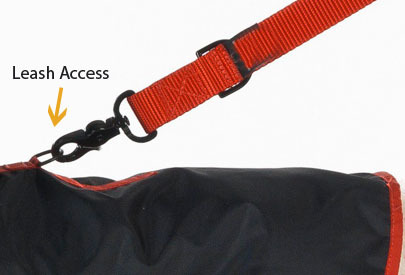 It has an adjustable strap at the waist and comes with an easily accessible leash hole. This poncho comes in a variety of cute colors and designs. For average sized Shibas, the large size is the best choice. Larger Shibas may fit better in an extra large. RC products also come with a great guarantee basically backing up their products 100%. To find out the latest price and availability of the RC Pet Products Dog Poncho click here. 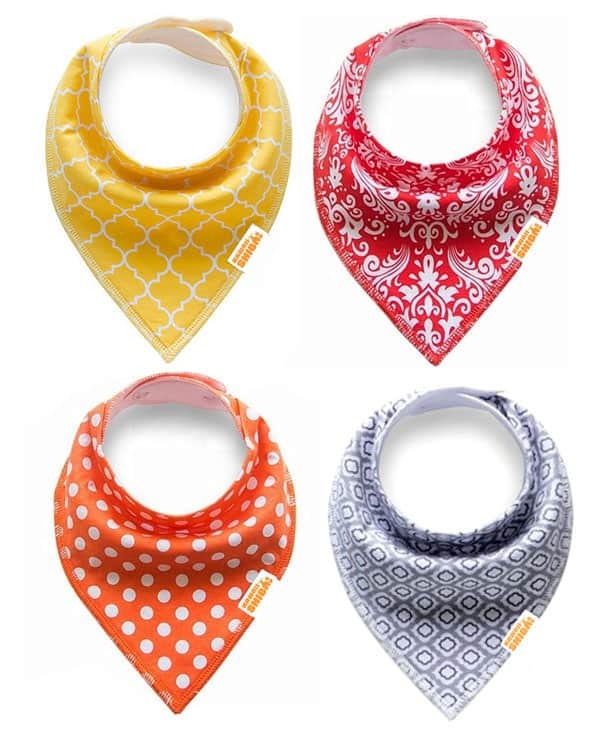 These adorable dog bandanas are actually repurposed baby bibs that work great as easy to put on doggy bandanas. So great for Shiba Inus AND great for babies! 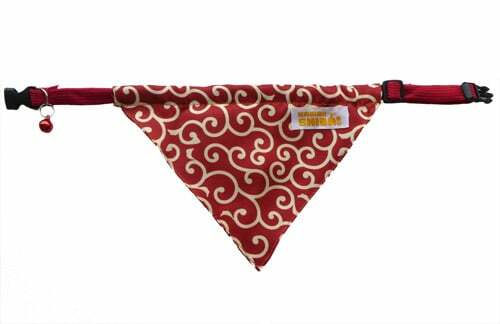 They can be worn on your Shiba's back like a cape or in the front as a traditional bandana. Made out of soft cotton material, this pack of 4 doggy bandanas are uber adorbs. 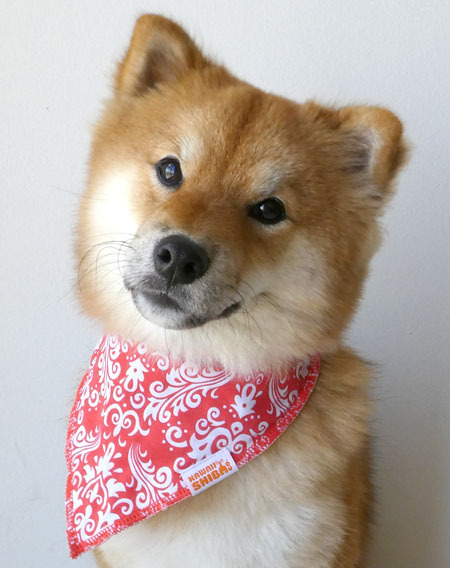 To find out the latest price of official Kawaii Shiba Co. Bandana Bibs here. 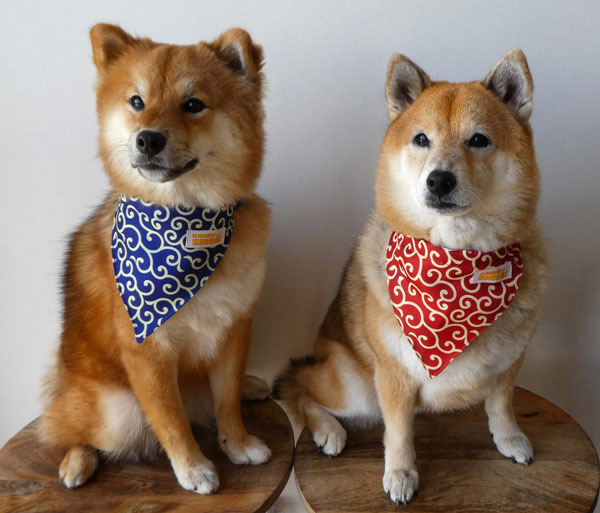 Official Kawaii Shiba Co karasusa style Shiba Inu bandanas. These bandanas are attached to easy to open collars and will fit a variety of Shiba neck sizes - from small to very large. To find out the latest price of official Kawaii Shiba Co karakusa bandanas here. Both humans and our fur babies always look great in plaid. This Kawaii Shiba Co. three pack plaid set is a great bargain at roughly two bucks a piece. Easy to wash, tie on style. 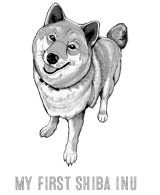 To find out the latest price of Kawaii Shiba Co. 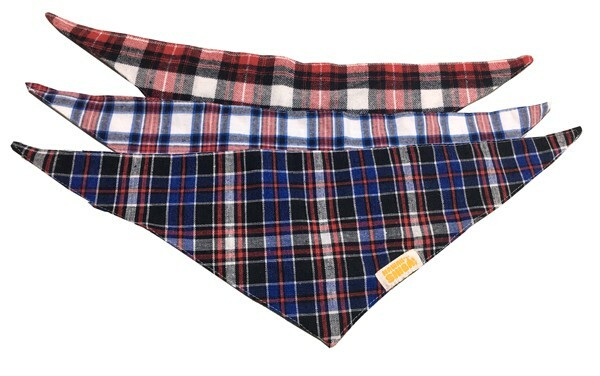 Plaid Dog Bandanas - 3 Pack Set, click here.